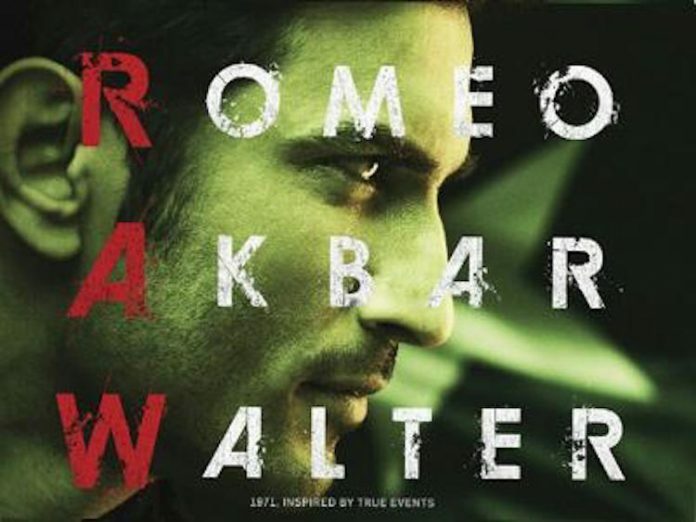 Indian actor Sushant Singh Rajput has just unveiled the poster of his upcoming movie Romeo Akbar Walter. The first poster was unveiled by Sushant through his twitter account! The actor, who was last seen in the movie M S Dhoni – The Untold Story, wrote, “2018 will be RAW. @RomeoAkbarWaltr @KytaProductions @VAFilmCompany @ajay0701 @bunty_walia #RAWFirstLook”. The upcoming movie is directed by Robby Grewal and is all set to hit the theatres in 2018. The exciting part is that Sushant Singh Rajput will be playing the role of a RAW Agent in the intense action thriller – this means breathtaking stunts and fight scenes. This is something we haven’t seen the actor do on screen, yet. Sushant started his career in television and became a household name as he played the protagonist in the TV series Pavitra Rishta. The actor made his debut in Bollywood with the movie Kai Po Che, which was a movie adaptation of Chetan Bhagat’s book Three Mistakes of My Life. Sushant then starred in some of the remarkable movies like Shuddh Desi Romance, Detective Byomkesh Bakshi and PK. The actor has now a number of movies in hand and is shooting for films Raabta, Drive and Chanda Mama Door Ke, which are all scheduled for a 2017 release. His latest upcoming movie ‘Raabta’ is due to hit the theatres on June 9, 2017. It also stars Kriti Sanon and Varun Sharma. On the personal front, the actor was earlier dating TV actress Ankita Lokhande, but the two parted ways due to unknown reasons. After which, it was rumored that he started seeing Raabta co-star Kriti Sanon, but the two always kept it a hush-hush affair and never made it official. Sadly, recent reports indicate the cute couple has parted ways as they were unsure of their relationship. What will be interesting, however, is to see if their breakup affects promotions of Raabta. Stay tuned for more updates on Romeo Akbar Walter exclusively on Bollywood Garam. Previous articleSidharth Malhotra - Alia Bhatt walk hand in hand at HT Style Awards red carpet - Photos!